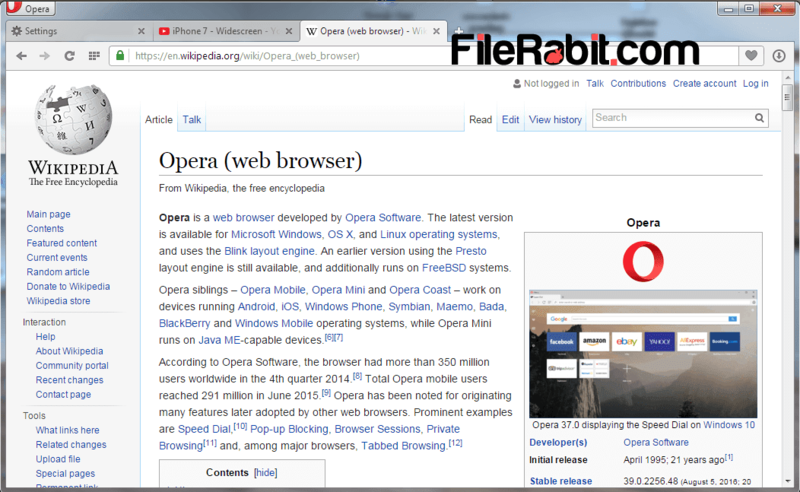 Opera is fast browse to navigate websites, listen music or play streaming videos, fast download manager, thousands of extensions and delightful web experience. You may feel efficient browsing experience with its peak level mature features e.g. ultra browsing speed, multi tabbing and new colorful design. The newly designed interface is just simple as beautiful because everything was placed at perfect position e.g. menu bar, speed dial, and default search engine is Firefox. Side navigation buttons were placed in left side so that will give access to bookmarks, recent tabs, syncing data and more. The account will keep saving bookmarks, username and passwords, keywords and opened pages history as well. It is one of leading web browser for mobile users but UC and Chrome are growing competitors in future. Browser for mobile will restore any data that was synced into account after signing in. Although the developer team has spent months to make this application favorite for windows 10. Opera has its own extensions, themes and developer tools so it means you can have ad-blocker, video downloading and SEO based extensions. The redesigned news feature will generate popular national and international headlines. The main screen shows thumbs that will generate unique thumbnails for each visited site. Although, it has strong shield against seekers to prevent them infecting your machine. Internally VPN is one of favorite feature that will hide your Geo info and show some fake details. Customization: Themes and extensions can be downloaded from opera store for free. Hundreds of themes will create difficulty for user to which one of them will be finalized because all themes are user friendly. Control: It gives complete control over keyboard short keys, interface, navigation and menu bar. The user have freedom to do any action or make anytype of change in browser without having super tricks. There are lots of tutorials will help you in customizing the interface. Security: Safety infected with spyware and malware will be blocked and notified to operator. Zero tolerance for suspicious and malicious activities. The realtime monitoring system will respond immediately to infected sites. Speed Dial: Sites that were mostly visited or sites chosen as favorite will have big thumb that will be store on speed dial page. Speed dial also called opera start page which saves more than 9 sites with customizing them at any time without limitations. 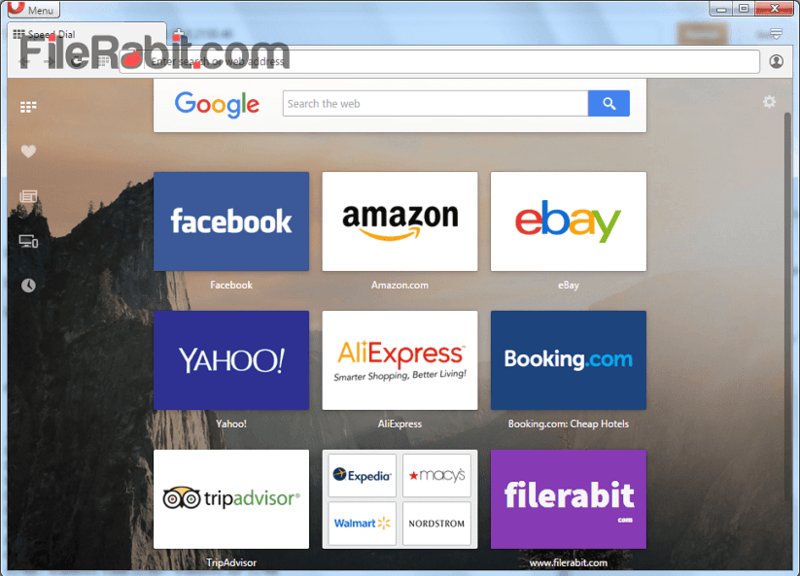 Turbo Speed: Redesigned engine will give awesome ultimate speed with improving browsing experience. Check mail inbox, listen live music, stream TV channels, play videos or use opera in any sort of business.